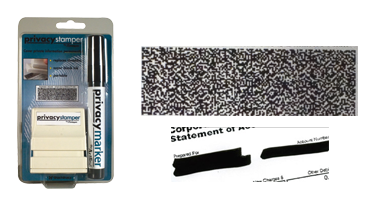 When choosing stamps, a safe bet is to choose names you can trust. 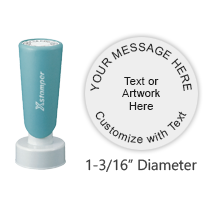 One of the most respected names in the industry, Xstamper products feature top-of-the-line quality construction and thoughtful designs meant to make stamping easier and more enjoyable. 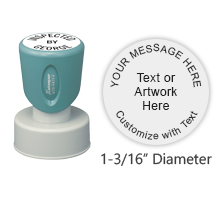 With the use of Xstamper pre-inked stamps, save time and energy while getting a great impression of legible clarity. 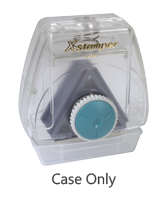 We offer several Xstamper pre-inked stamps to choose from when shopping for a high-quality tool of this nature. 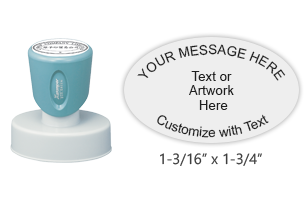 These premium quality laser engraved pre-inked stamps have a built-in ink pad and last for thousands of impressions before they need to be re-inked. 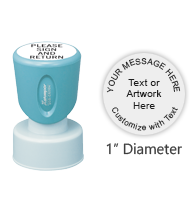 While they are not intended for use on glossy surfaces, the solid crisp stamp impressions are great for stamping general office papers and documents. 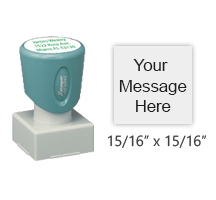 We offer a variety of sizes to fit your needs, including options perfect for on the go stamping such as keychains and pocket-sized models and larger options for stamping larger surfaces. 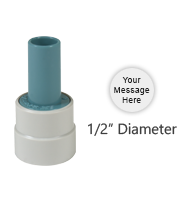 With over 30 sizes to choose from, you are sure to find the right option for your project or needs. 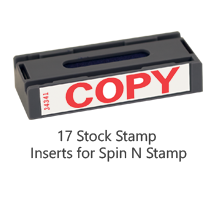 These stamps are available in 11 exciting ink colors and are lifetime guaranteed for performance you can trust. 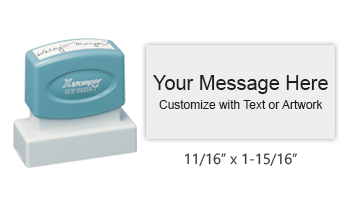 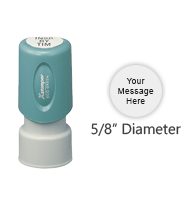 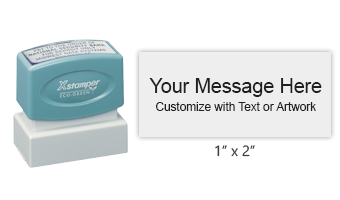 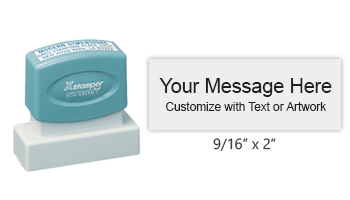 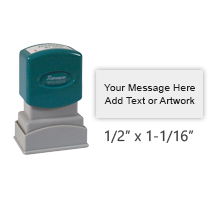 We can easily customize any of these reliable Xstamper pre-inked stamps to express a range of information. 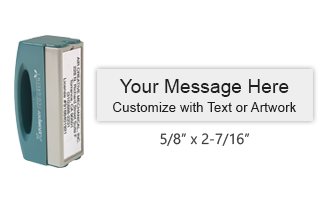 Whether looking to communicate a business address, company logo, instructions for employees, or any other professional applications, these stamps are a great choice. 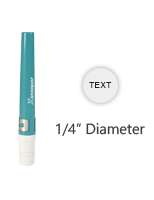 They are also ideal for personal projects! 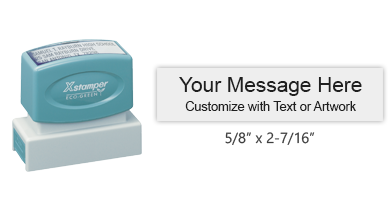 Need a way to imprint ownership of belongings, express contact information, or any other relevant information? 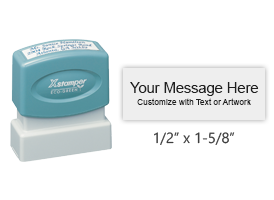 These Xstamper pre-inked stamps let you get the job done with ease. 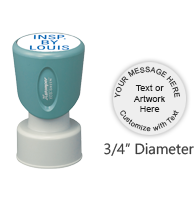 We use the best methods of engraving for rubber stamps offering vivid impressions in a clean and crisp manner. 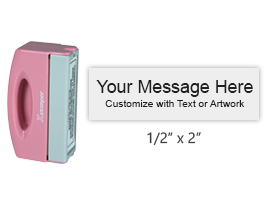 Aside from the end result, these stamps are fun to use. 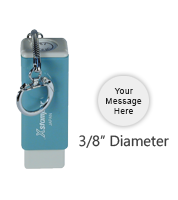 They feature easy grip handles and smooth operations. 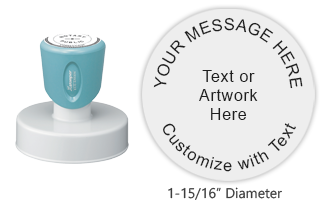 Need a custom rubber stamp now? 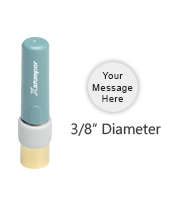 Our inventory of Xstampers has a 3-4 day production time to get you the tools you need. 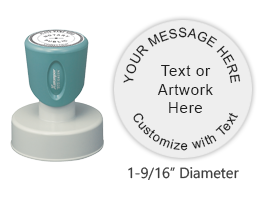 At Rubber Stamp Champ, we are honored to be your source for your stamping needs. 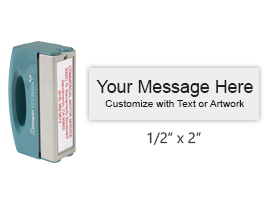 In addition to our affordable prices and diverse selection, we are dedicated to providing outstanding customer service. 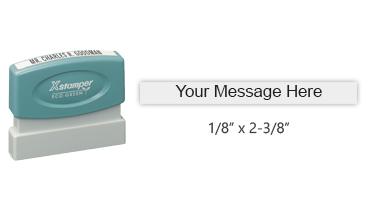 If you have any questions, we are here to help! 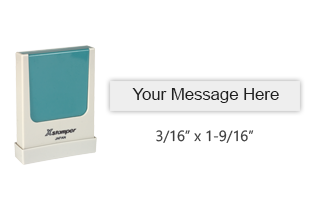 40% off all 33 sizes! 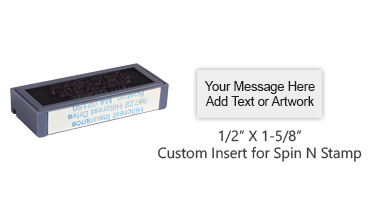 Impression Size: 1/2" x 1-1/16"
Impression Size: 1/8" x 2-3/8"
Impression Size: 3/16" x 1-9/16"
Impression Size: 9/16" x 2"
Impression Size: 5/8" x 2-7/16"
Impression Size: 1-1/2" x 2-1/2"
Impression Size: 1-15/16" x 2-15/16"
Impression Size: 1-3/16" x 3-1/8"
Impression Size: 1-9/16" x 3-15/16"
Impression Size: 2-9/16" x 3-15/16"
Impression Size: 1/2" x 2"
Impression Size: 15/16" x 15/16"
Impression Size: 15/16" x 2-13/16"